Custom website designs don’t just pop up overnight. TAP Solutions has a detailed process that gives you, our Ventura County customers, the most professional website design possible. At TAP Solutions we learn about every aspect of your business so we can accurately and effectively tell your story. We want to get your message out to your current and prospective customers in the best way for your Ventura County company. Your goals are important and the more we know about you and your company the better we can serve you during the website design process. Our goal is to provide you with the most optimal and affordable web design for your company in Ventura County. As web developers, TAP Solutions needs to know these types of information so that we can create a website for you that is easy to find on the internet, easy to navigate and that makes not only a great first impression, but serves you and your Ventura County company well at every viewing. TAP Solutions will gladly help you through this and every other step of the process. After gathering all this information, we begin the actual website development. We create various custom-made templates for you to choose from. We’ll modify them as necessary until you’re happy with them. TAP Solutions wants you to be comfortable with and proud of your Ventura County company’s website. We communicate and share the development with you because we want your custom website design to represent your company to its best advantage. Once the concept has been developed and approved by your Ventura County company, TAP Solutions starts to actually build your custom website. This is where the background information we’ve gathered from your Ventura County company is applied. Building the website includes creating the actual pages, links, coding, search engine optimization (SEO), and bringing the text and graphics together. In other words, this is when TAP Solutions applies all the technical skills required to bring your website to life. TAP Solutions wants you involved every step of the way. This is how we ensure that our valued Ventura County, clients get the best website development services. Once your website is live for all to see, if needed, TAP Solutions can continue to support and maintain your Ventura County company website if you’d like. Our maintenance services can include monitoring and updating search engine optimization (SEO) and search engine submission (SES). If at any time you want to change something, such as text or pictures, or add new pages to keep your site current, TAP Solutions can assist you. TAP Solutions strives to maintain solid working relationships throughout the web development process and beyond. 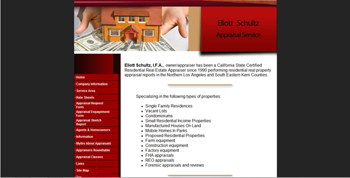 We know that your website is an integral part of doing business in Ventura County, CA. TAP Solutions wants to help you make that business grow and prosper. TAP Solutions has many resources. We don’t have a “one site fits all” philosophy. TAP Solutions won’t force your Ventura County company to fit into a standard framework. We will customize your website so that you and your company look your best on the internet. TAP Solutions is affordable. We’ll work with you to custom-make the best user-friendly website. TAP Solutions is local to Ventura County area. Contact us and we’ll meet soon to discuss your professional website designing needs. Professional Affordable Web Design Company Ventura County CA. Professional Affordable Web Design in Ventura County CA.